During the summer months, warmth is something that we take for granted. By August, we might complain about the amount of rain that we still have to endure, but we’ve almost forgotten what it’s like to feel truly cold. As autumn creeps up on us, though, so do those bitter evenings, and it takes us by surprise each and every time. However, with a bit of forethought and preparation, it needn’t be this way; we simply have to bolster our homes for the seasons ahead and a good place to start is your flooring. Some floors may look stylish, but if they’re freezing your toes off, aesthetics might have to give way to functionality. So, in this article, Brent Carpets will provide a rundown of the different types of flooring, highlighting each of their insulative properties and comparing them. Certainly the warmest type of flooring, carpet is perfect for when summer draws to a close. 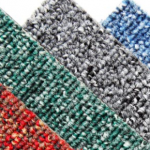 Their soft fibres create a thin cushion underfoot, and provide unparalleled insulation for your home. Not only that, they come in a huge variety of styles and colours, too. 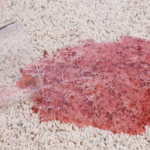 Failing that, a rug could perform a similar function on top of a different type of flooring. They still provide the same insulative properties, but only over an area of your choosing. It’s certainly cheaper than getting carpet flooring fitted and can block off draughts, but it will never be as good as the real thing. Despite not being as insulative as carpet, laminate flooring can be partnered with underfloor heating to create a luxurious warm feel combined with the look of natural hardwoods. For areas of the floor which are not heated, or if underfloor heating is not a viable option, underlay can provide some much-needed thermal insulation. 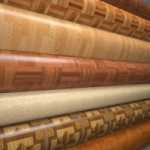 Vinyl and lino flooring have been popular since the 80s and 90s and continue to be to this day, not least for their affordability. 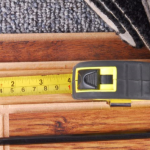 Whilst they don’t provide as much warmth as a carpet, it’s worth noting that the thicker your vinyl floor is, the warmer it will be underfoot. They come in varying degrees of luxury, too. Some manage to replicate the look and feel of wood and stone, and can provide excellent insulation when combined with a good, thick underlay. Wood isn’t quite as warm as carpet, but it isn’t necessarily the worst option either, and can create a very striking look in a lot of modern homes. Again, it might be best to lay a rug down if it gets particularly cold when the mercury drops. Unfortunately, despite their beauty, stone floors are certainly the coldest. Underlay is not an option, and they provide little to no insulation for your home. Stone flooring is not recommended if insulation is your main goal. Here at Brent Carpets, we know the value of functional yet stylish flooring for your home. We provide an impressive range of quality flooring guaranteed to suit your needs – contact our friendly team today for more information about the services we offer, and we’ll be happy to help.